The generals, the New Yorkers and Republican congressional leaders see themselves as an unofficial committee to protect Trump and the nation from disaster. This loose alliance is informal. But as one top official told us: "If you see a guy about to stab someone with a knife, you don't need to huddle to decide to grab the knife." 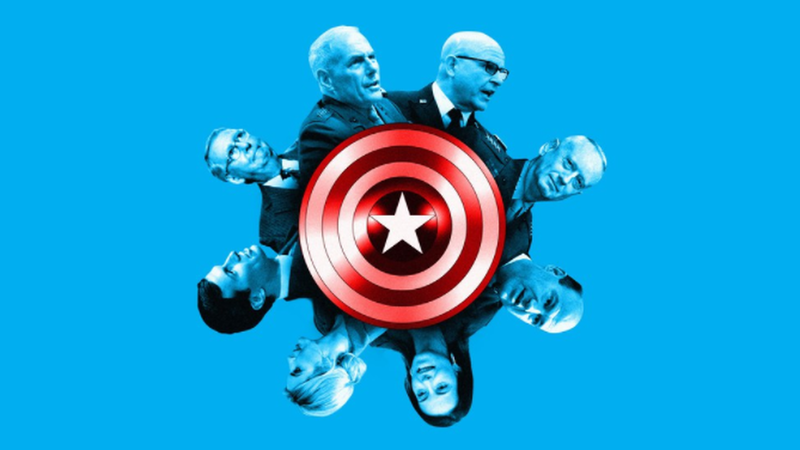 The New Yorkers, including economic adviser Gary Cohn and Deputy National Security Adviser Dina Powell (with 25 years of foreign-policy experience), have subsumed some of their personal views to blunt Trump's worst ideas. This crowd is highly skilled at communicating with the president (using visuals and grand positioning) to refine or moderate "America first" provocations. Treasury Secretary Steve Mnuchin is also very involved, helping demand a process where POTUS has all the information to make domestic and international economic decisions.